The DHI Conference would not be complete without an epic adventure with our friends and partners! 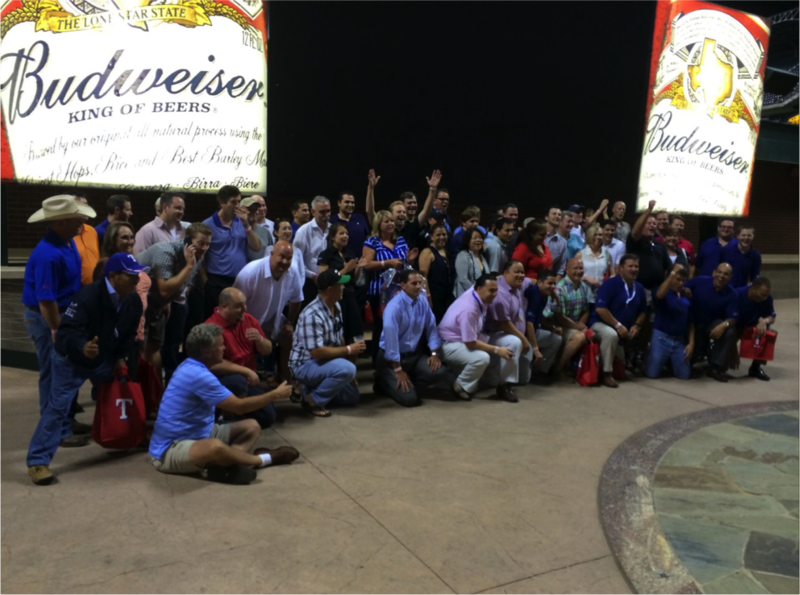 This year’s adventure started with our annual sales meeting theme “team work”. What better way to represent that theme than by witnessing a team in action. 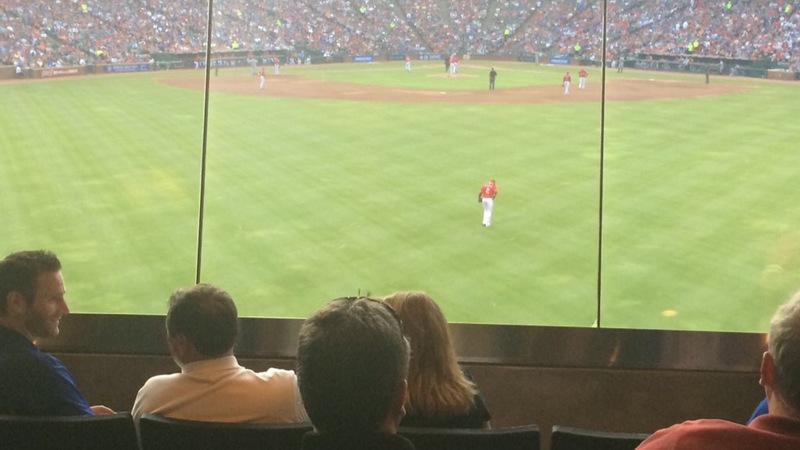 So we loaded up 100 of our closest friends and partners in the industry and headed to the Texas Ranger’s Stadium for an all American baseball game. But not just any seats are good enough for our friends. 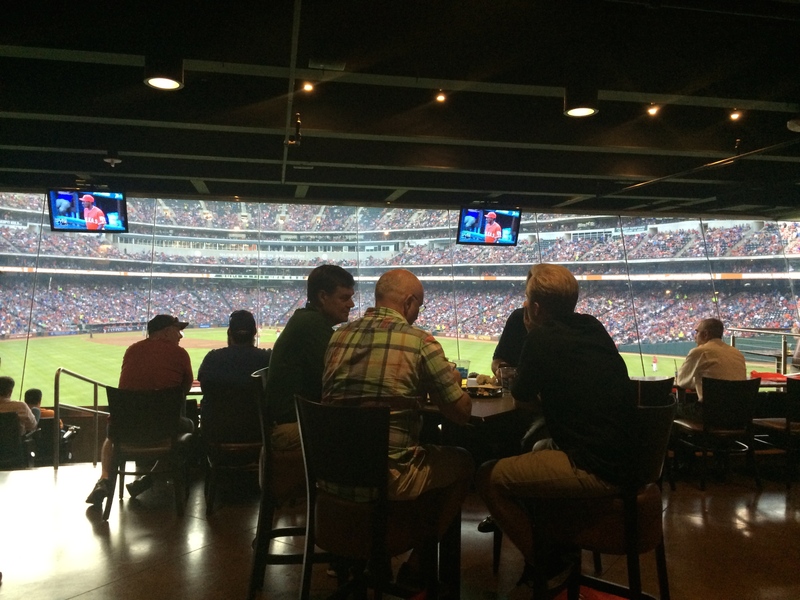 We rented a large suite at the Batter’s Eye Club to watch the game in style. We were greeted with an open bar, a buffet stocked with traditional baseball game treats and not to be under appreciated…air conditioning! What a way to watch my first professional baseball game. I was definitely spoiled for all future games. I hope that we all do better with our ventures than the Rangers did on this particular night! A special thanks to all who joined us! A special thank you to my dear friend and customer that suggested we get the out of the suite experience too! Thanks to everyone who attended, you helped to make it an awesome event!